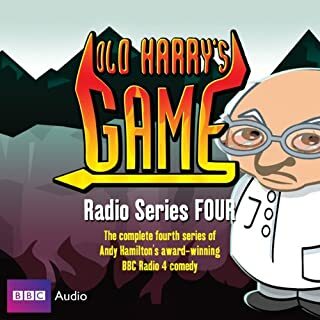 Andy Hamilton's hell-ariously entertaining complete third series of this most excellent Radio 4 award-winning comedy. Satan may rule the roost, but he's beset by the poor unfortunates condemned to sit out Eternity with him. Amongst them is the Professor, who is convinced that societies evolve and mature until Satan introduces him to Bill Clinton. There's also Scumspawn, with his large expanse of nothingness between the ears, as was always expected. And as for Satan himself, he is persuaded to attempt to improve his image on Earth, to remake Casablanca (with Bogart, Bergman, and a mutant alien) and starts a football match in Hell which invokes God to send a couple of Archangels down to see what all the fuss is about. Yes, depends on your humour but this is good old clean funny. I highly recommend getting a few seasons and if you like the first few episodes .. if you like them get all the series as with the exception of season 7 they are all excellent, season 7 good just not quite the same and a little more repetition . 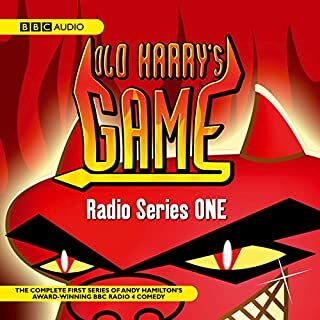 What made the experience of listening to Old Harry's Game the most enjoyable? This series manages to combine some seriously silly schoolboy jokes with the thought provoking nature of Dante's Inferno. but it's much more fun than you might expect, It is clever, arch, silly, but with lots of unexpected plot twists. Andy Hamilton's writing is on top form. 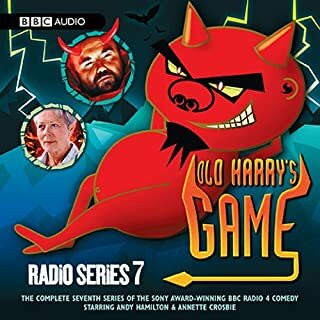 A great audio recording, excellent quality with great sound effects... the clip clop of Satan's hooves make me laugh every time! My favourite character is Satan: "Master of Flesh and Ruler of the Abyss". He's bubbling with sly witticisms, and has a sneaking respect for The Professor, an atheist with a good heart, who is condemned to hell by the caprice of a sulking God (who he doesn't believe in). The professor is also sharing eternal damnation with Jane Austen, Will Shakespeare, and a whole host of demons,(amongst them Gary and Scumspawn) popes, tax collectors, and many other people you would expect to find in the "Other Place". 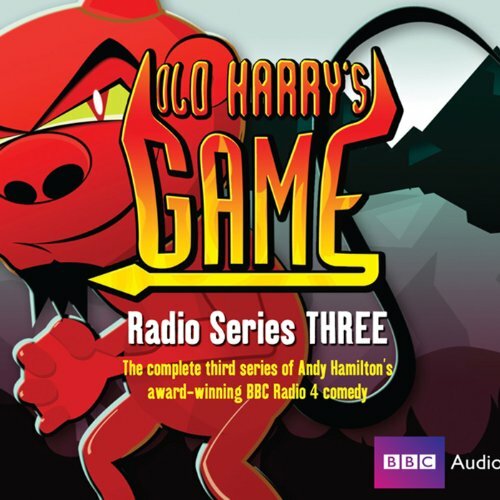 Have you listened to any of Andy Hamilton and Jimmy Mulville ’s other performances? How does this one compare? Having bought the first two series of this comedy, I was eager for more. This doesn't disappoint. I found it funny and thought provoking. To quote another review from TV tropes… The show is lighter and funnier than it sounds, and usually manages to avoid being Anvilicious in its handling of weighty philosophical issues. Even though I have heard it before, the second time is just as funny. Brilliant. Great fun. well written & performed by the entire cast. Could listen again and again. Each series just gets funnier and funnier. wish I'd found this years ago. Worth listening! I absolutely loved this series especially the bit when Satan and The prof when in Thomas' brain. I love All series SPOILER ALERT though in 6th series it's sad that The prof goes to heaven but Edith is the best. I haven't heard the 5th series so I don't no how the prof got into heaven. What a way to pay for your sins. It's always nice to know hell is still rolling along. With all the usual gang causing mayhem and confusion, and a bit of kindness put down as mischief and corruption to save the devil's reputation. 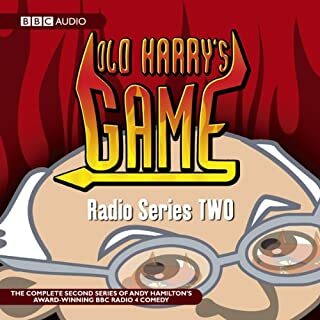 Andy Hamilton never fails to write and perform brilliantly. Once again a very well cast production. The genius of Andy Hamilton. There are seven series and a Christmas special, all absolutely first class. Superbly witty, brilliantly performed, a must-have for the collection.